The final weekend the pool was open last year a friend's kid threw a few clods of dirt in the pool (not malicious, only 2 years old, kids got an arm to toss it over 4 feet). The BF and I spent time in the pool trying to get as much out as possible, but were not able to get it all. We ran the filter 24/7, the rover jr, hand held spa vacuum and brushed for about a week but ended up closing the pool cloudy and still dirt in there. Honestly I was sick of dealing with it at that point, brought the pool up to shock level, put the winter cover on and forgot about it. We "opened" the pool the first week of April, and by opened I mean took off the winter cover, put on the solar cover, turned on the SWG and threw in some chlorine. I fully expected there to be a green swamp when I looked under the cover, but was pleasantly surprised by decently clear water, but a lot of dirt had settled on the bottom. The last few weeks the filter has been run a minimum of 8 hours a day up to 24, cleaned the cartridges weekly, rover Jr has been run at least twice a week and walls and ground swept as far as I can reach but there is still some dirt in the pool. It's clear with visible dirt on the flour until I brush, then gets cloudy again. Definite improvement, I see dirt in the vacuum bag, but this seems to be never ending. Is there something else I should be doing? If it is because of fine dust from the clods, it may be making it right through the vacuum bag and the cart filter. 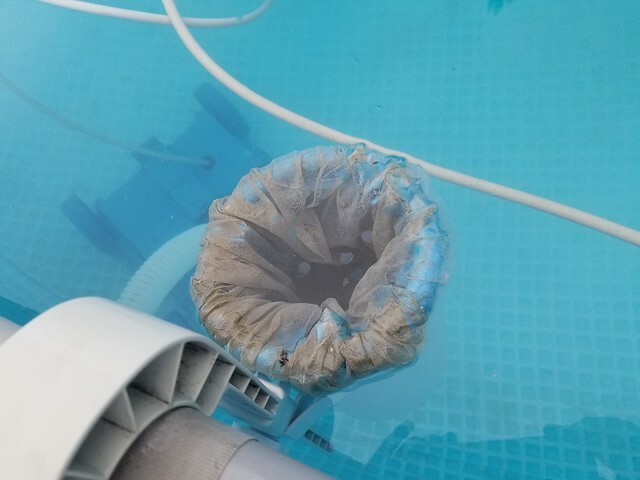 Assuming this is your issue the best thing you can do is let it settle, and rig up a way to vac it out of there with that water not returning to the pool. Or, you can try a slime bag hooked up to your return. They work amazingly well. They aren't cheap, but they do work. The only thing I can think that you should also be doing is posting a full set of test results and then following the SLAM process if required. jbIizzle, you are correct! I have just been throwing chlorine in it to hopefully keep any issues at bay until I was able to give it the attention it deserved. I did run a partial set tonight, wont be able to slam until Friday night-and that's if I don't end up heading out of town. 0-20 CYA could see dot to top - added 2lbs in sock today. Will test again when dissolved. Patrick_B- thanks! I just read a bunch of threads and saw some people using diesel fuel filter bags as a slime bag diy and figured I would give that a try found some of those, 2 for $13. They will be here on Monday. When the FC > 10ppm, the pH test is not valid, reads artificially high. Had a similar issue with fine dirt in the pool. Had to vacuum to waste a couple times to get it out. It would go right through the filter and back into the pool. When it settled, the pool was crystal clear, but swimming would churn it up and the pool would look cloudy. I don't have a vacuum to waste feature unfortunately. 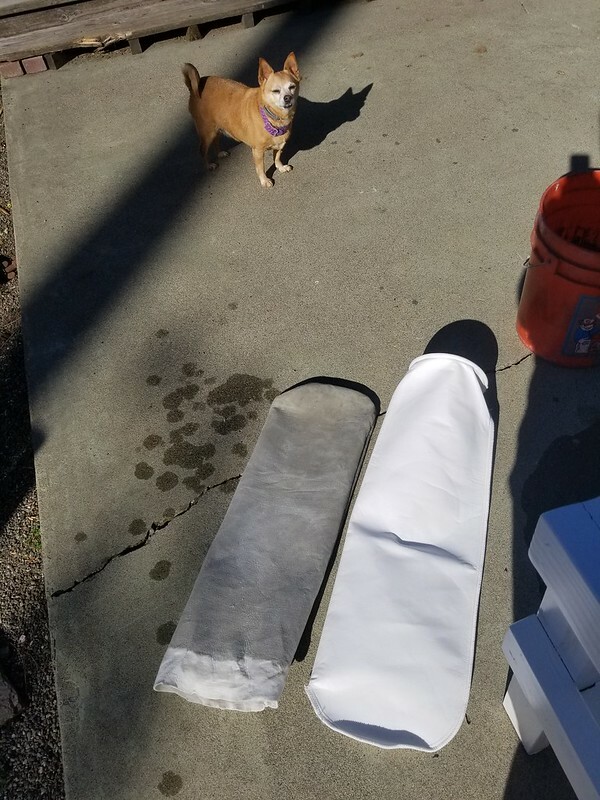 I have the standard cartridge filter that came with the pool. You should perform a true OCLT (SWG off) to rule out algae before you address this as a filtration issue. I think its algae, the OCLT will tell us if it is. Sounds like a great plan! Don't forget to turn off the SWG for the OCLT. Good news - FC is below 10. I was able to test PH. News which I am not sure is bad or good, I lost about 5 ppm of chlorine on a 65 degree, overcast day. About 11 hours between tests. CYA - 20ish - not all has dissolved from the sock yet. Added another LB. Is 5 ppm an ok amount to loose a day? Seems high. Should I still do the OCLT tonight, or is my dirt sounding more like algae? 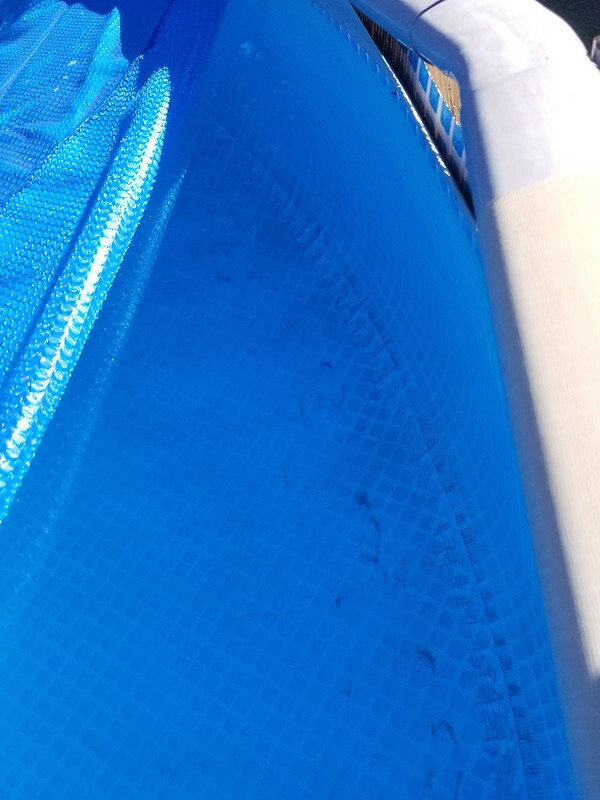 On some nothing I can do about it now news, since the cover is off and I can see the whole pool, parts of the middle of the liner on the floor have beached out/lighter spots. I am not sure if that is normal or not, I tried to take a picture but it was too windy and the water was moving. 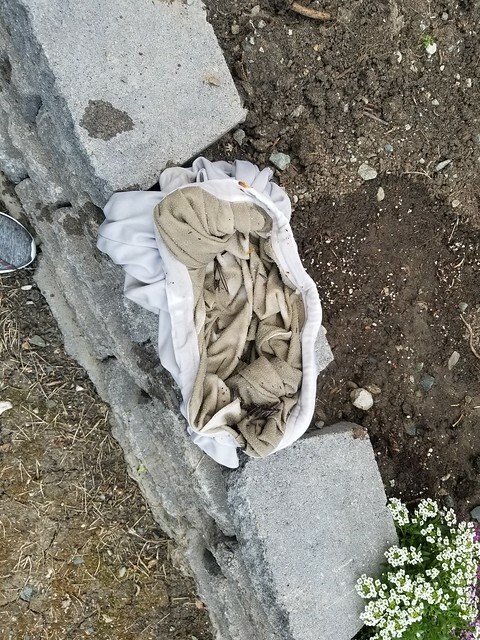 There is a part of me that thinks at the end of the season it will be a good excuse to buy a pretty overlap liner and re-level the ground on the side of the pool that sunk an inch, but then I remember the yard of river rock surrounding the pool and how long it took to shovel it from the truck, to the wheelbarrow then to the pool area. Moving it away from the pool side and back deters me from that idea quick. 5ppm loss could be ok when starting at high FC levels. I would still do the OCLT. Are you using 25ml or 10ml of water for your FAS-DPD test? I can't believe in the 2 years I've been reading this site it had never occurred to me to bring a cup of water inside to test. I have been dreading running tests at 4am in the dark outside. Am I the only one who can't figure out how to get to pool school from tap a talk? If I fail the overnight test do I start slam in the morning? The most I could do would be raise FC, I won't be able to brush until I get home tomorrow after work. Pool School is not accessible in tapatalk. Have to go through a browser. Yes if you fail the OCLT, then you need to start the SLAM process. I passed OCLT. 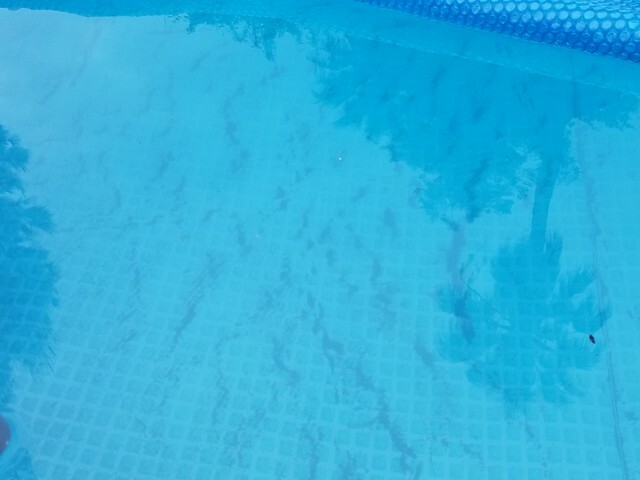 The dirt that is settling at the bottom of the pool is considerably less, but still cloudy when brushed. I will stay the course, continue brushing, cleaning the filter and using the rover daily. 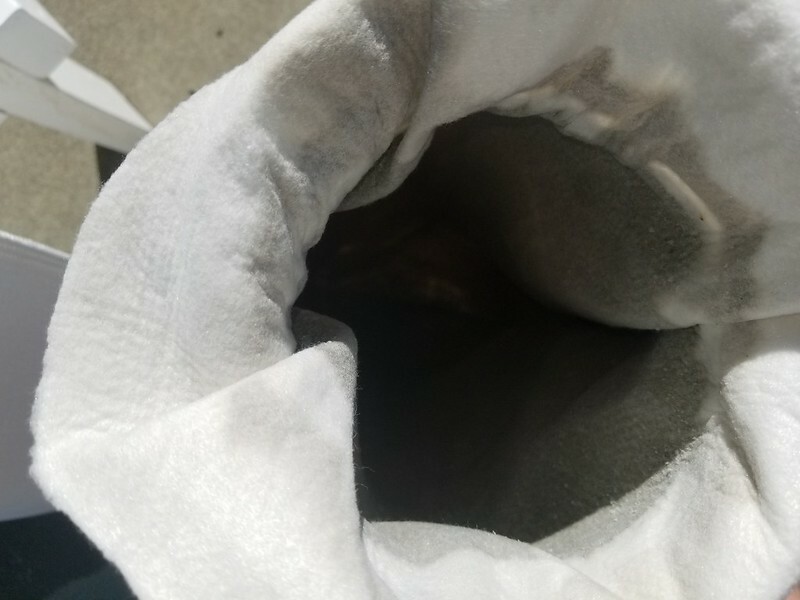 The vacuum is continuing to pick up dirt, the bag is brown every time. CH - Over 500, I quit after 50 drops. I can't remember if vinyl pools need to worry about this number. Ok, back at it! I washed the bag, going to turn the filter back on, brush. When it settles put the robot back in for another run. Really the only think I dislike about having an AGP is climbing up the ladder to get in and out. I don't want a desk around it, but I do want stairs to a small platform of sorts. More dignified to get in and out, I found this on Pinterest and I think I am going to give it a shot Swimming Pools Accessories : Photo | Outdoor living | Pinterest | Photos, Accessories and Swimming hopefully you will see a build thread on this in the near future I want mine to go over the pool rail though, and not be permanent, so I have a bit more researching to do. It's not dirt. I don't think anyways. I had passed the OCLT test, so it must be dirt I thought. I have been just been brushing and using the robot all the live long month. I haven't' really checked into the forum the last month, or paid any significant attention to the pool (I know, I know). I've been in it a couple times with no issue but Wednesday the water was kind of dull. Knowing it is going to be hot this weekend I figured it's time to really deal with this. So I finally logged back on and right away 2 posts caught my eye. One by @Super B who's pictures looked really similar to mine, and @duraleigh told him it was algae, and well, you listen to duraleigh. Next was a thread something about when a SLAM was done, and someone mentioned sweeping doesn't make the water clear. Hmm. 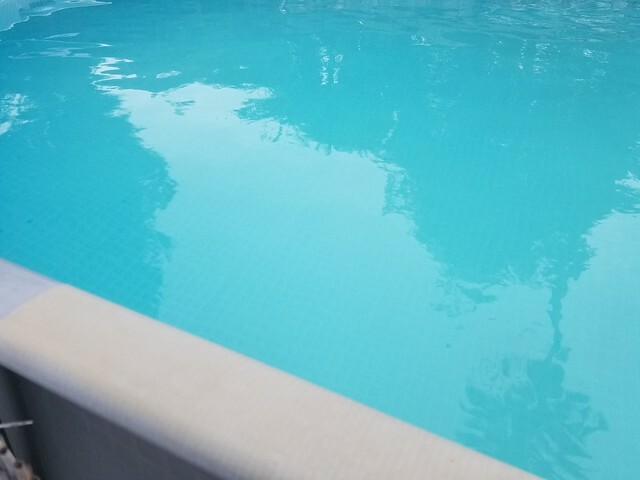 I passed the overnight test, I could see a quarter, the water seemed clear to me, sparkling even sometimes, but every time I brushed the pool it would be cloudy. I put some chlorine in last night, but didn't test, got up at 5:30 this morning brushed the pool, tested the water for chlorine only - 17.5 and raised it back up to 21, and started the robot. I ran out of time to do anything else, but will test fully when I get home. I know I will need MA due to the well water, so I am going to run to Lowe's after work and grab that and more chlorine. I am not sure if the FC will have drifted down enough to test PH, but we will see. I took a picture this morning, but it wasn't quite light enough outside yet to clearly see the dirt on the bottom in this picture. More to report when I get home this afternoon. I could tell the difference in the water when I got home from work yestetday, even my bf said there was a noticble difference from Wednesday when we were last in it. FC has dropped to 6 from probably 15 I had raised it to in the morning. 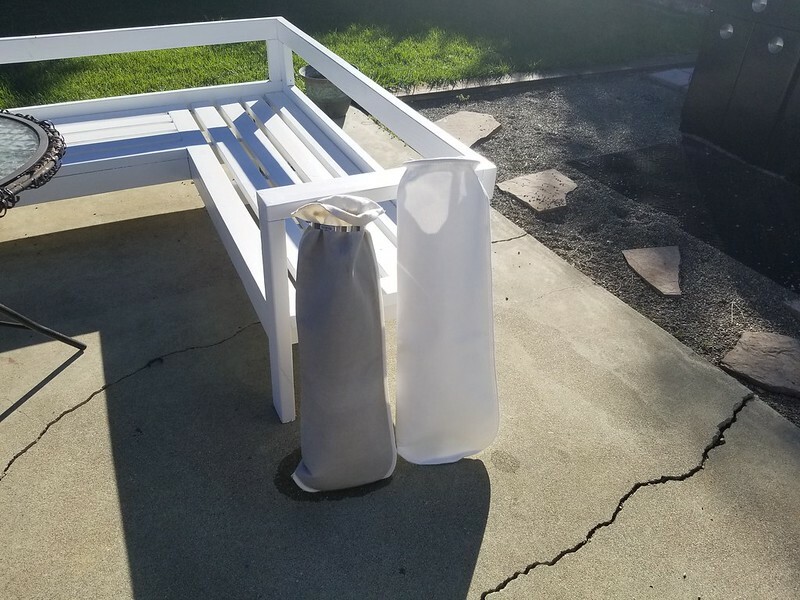 I cleaned the filter, bag over the outlet, vacuum bag, then got in the pool for an hour or 2, relaxing mixed with brushing everywhere including moving the steps and then ran a full set of tests. 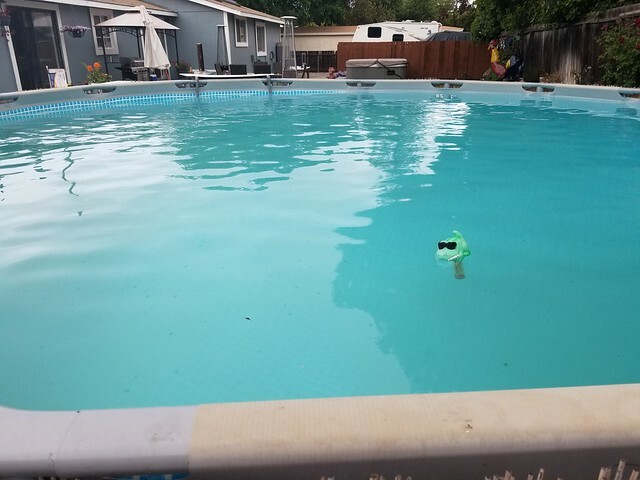 I put MA in the pool to being PH down, then eyeballed amounts to bring the chlorine up when we were done hanging out in the pool, then when the sun went down I tested again and raised to SLAM level 16 using a measuring cup to be close as possible. Got up at 530 this morning, brushed everything again and tested-15.5. A bit of brown still comes up when I brush and there was dead algae on the floor this morning so I will keep going. I'm planning on spending a significant amount of time in there today so I will retest mid afternoon for info purposes, but probably not being back up to 16 until we are done swimming. I don't know if I should post this in equipment section, but I'll try here first. I want to upgrade from the intex pump filter. I have an 18x48 pool. What size should I look for? I found a hayward on Craigslist for $120 1.5 but I read somewhere when googling that is too big for my size pool.